According to religious philosophy, Spiritual Energy is a religious-mythology based science term, which refers to the physical definition of energy used in religiosity sense. Lots of people can channel and focus on Spiritual Energy for Healing and expansion of awareness. This is a good skill, but it is necessary to remember that Spiritual Energy is Universal, available to everyone; it is YOU at your source. If you see people channeling Spiritual Energy, don’t take them as they have more of it, they are just open. They are not more spiritual than you or anyone else. How to find your Spiritual Energy? And what is it exactly? Spiritual Energy is the demonstration of divine, love and depending on an individual religion that love comes from a deity, deities or an energy that defies description and explanation. In this concept, the source is itself perpetual. Spiritual energy is connected to both body and soul and in itself it is defined as very strong and infinite. It is the amalgam of unconditional love, peace, calm, consciousness and curiosity for knowledge and learning every day. It might or might not rely on the one’s own religion belief system. To find one’s own spiritual energy is a process that starts with the belief in one’s own self that it is something that is part of the very existence. According to the spiritual science the spiritual energy of any person consists of different kinds of auras. To find your spiritual energy is to be more aware and conscious of yourself. It starts with self-calming, yoga, meditation and focus. The more consistent one is quicker they are to find this amazing energy with in themselves. We all have potential to turn up or down our energy vibration based on thoughts we choose, emotions we feel, actions we take and our alignment with our soul. But we need to learn that how to get this vibration level right. All you need to do is tune into consciousness of your space. The ability to Feeling Spiritual Energy is called clairsentience, which means clear feeling. To some degree, all of us has feelings and cab therefore, Feeling Spiritual Energy, emotions, coming to us as energy, from those around us. And therefore, all of us have some level of clairsentience. There are many energy assembling techniques used in many different religious traditions. Clairsentience is usually the first of our abilities that we use in our daily life to access our surroundings for safety and to ultimately, develop our intuitive gifts. How you can work with your Spiritual Energy? For a moment, if we put aside the energy healing concept, what we do in its most pure form, is emotion therapy. It’s all about to helping people to release all those feelings and life experiences that are holding them back. Many tools are there for achieving this, and also many capable therapists worldwide. Energy healing is all about undertaken that you are an energy being. Energy healing is broad term for any therapy that encourages the energy flow in around the human body to restore balance on all levels. 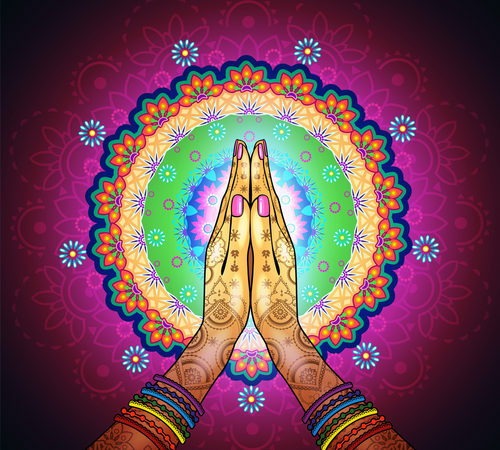 Some of the more well known therapies that could fall under the heading of Feeling Spiritual Energy include Reiki, Reflexology, Pranic Healing and Tong Rang therapy. To work my spiritual energy I need to profoundly connect with it and find it in me with a strong sense of its presence connecting my soul to who I am. This also relates to how I deal with my every day matters and have I made myself calmer than I used to be. The best medication for strengthening my spiritual energy is meditation, the feeling of relaxation and free control of my breathing that soothes myself. For this not only my own aura is important but how I connect with people around me and what kind of energy I let them bring in my life is also a major factor in determining what kind of spiritual energy I let my soul surround it self with. How you can fell more spiritual? How you can connect with yourself? Here are some tips that may help you to became more spiritual and make you to connect with yourself. Apply some of these tips that you wish to, the more, more Spiritual you become. * If you can’t find a peaceful and quiet place, go where at least it is comforting sound and sit down. Consider bringing a journal. * If you would like, you can also sit in yoga position. * Clear your mind from all thoughts, after that if you have a topic in mind, focus on that topic. * List your life goals and celebrate if you have achieved some of them. * Do planning for next time. * Each day, before going to bed, ask yourself what you did today to keep your inner sensitive. * Develop an open mind instead of closed mind. Living happily depends upon how you are in your inner lives, your thoughts, emotions, beliefs and desires. I can feel more spiritual depending on what my calling is. Every human has their own passion in life and hobbies that they enjoy and feel relief in doing. For me being close to nature, finding a calm place that helps me find the calmness within myself is very spiritual process. As it heightens all the senses and makes you realize every moment energizing you. To connect with myself, I need to know myself very well. If I am not aware of myself, my qualities, strengths, abilities as well as my weaknesses, down points and challenges I will never be able to connect with who I am. So, I think knowing your own self is first step to connect with who you are and your spiritual self.